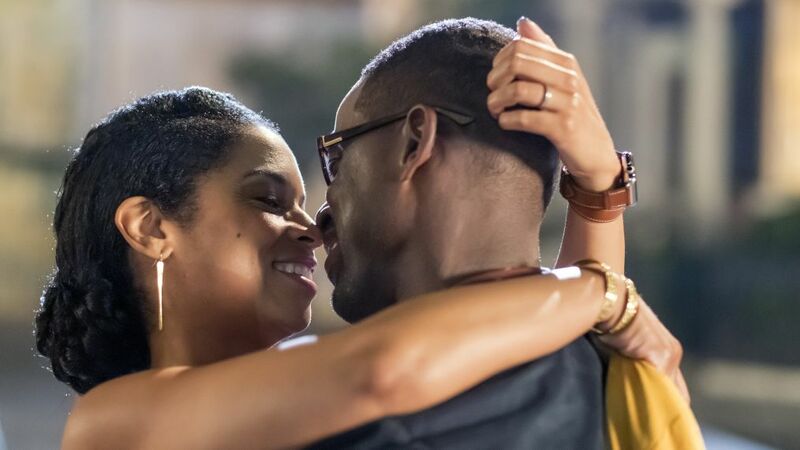 Since This Is Us signed off for the season on March 13, fans have been eager to learn more about those intriguing fast-forward sequences involving "The Big 3," and Chrissy Metz just dropped a hint. The actress best known for playing Kate Pearson on the show sat down with Entertainment Weekly to chat about next season. And as you may guess, Metz couldn't say a lot but she revealed that the much talked about Randall (Sterling K. Brown) and Tess timeline isn't great. From Beth's fate to Toby's depression, we have a lot of questions to be answered. For those not caught up to speed, the timeline referenced involves Randall and the grown version of his daughter Tess (Iantha Richardson). In the scene they talk about visiting "her," the her they're talking about still remains a mystery, although there are some recent theories that suggest it may be Rebecca (Mandy Moore) stricken with Alzheimer's or some other degenerative disease. In regards to the timeline Metz told EW, "It’s something you’d… nobody… it’s not good." Well consider us worried for the fate of our beloved Pearson family. Obviously the actress's words don't give fans much to go off of, but it does give them plenty to stew about. The actress will be back for NBC's hit in Season 3. "It’s…no," she began again to EW. "It’s actually very heartbreaking," she concluded. So should we grab our tissues now? The next season won't premiere until fall, so probably not, but fans are sure to have their guard up when the first episode rolls around. In the meantime we'll just imagine that we're living in a world where Jack Pearson (Milo Ventimiglia) is an old man who lived a longer life than he got, and hoping that the ominous not fans were left with in the finale was just a scary dream.